Until the 1950s, motorcycle manufacturers followed the motto of Henry Ford, according to which a car can be supplied in any color as long as it’s black. Luxury designs were available in other colors if required, for example the KTM R 100 from 1953 also came in blue or red. By contrast, the national sports colors dominated motorsport – red for Italy, silver for Germany or British racing green for motorcycles from Great Britain. 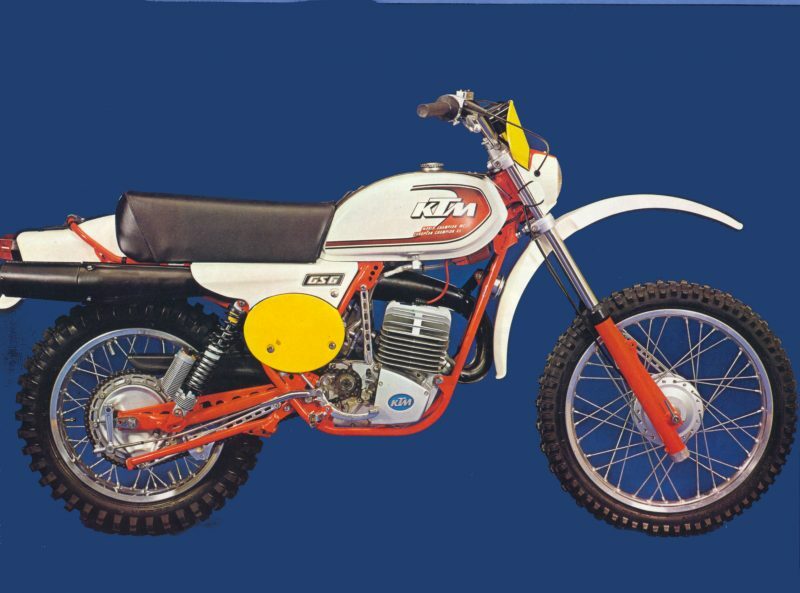 With the increasing popularity of enduro sports in the early 1970s, you could identify the displacement of many manufacturers’ bikes by the color of the tank: At KTM, the 100 ccm models were green, the 125 ccm models were red, and the 175 ccm models had a blue tank. In 1977, the design was standardized, with all models proudly displaying a red frame and white plastic components in the Austrian national colors. In 1992, KTM was under new management following the insolvency of KTM Motor-Fahrzeugbau AG, meaning that the development department was hard at work devising new concepts for the future. KTM awarded the design contract to Gerald Kiska, a young Austrian designer who is still responsible for the company’s image to this day. 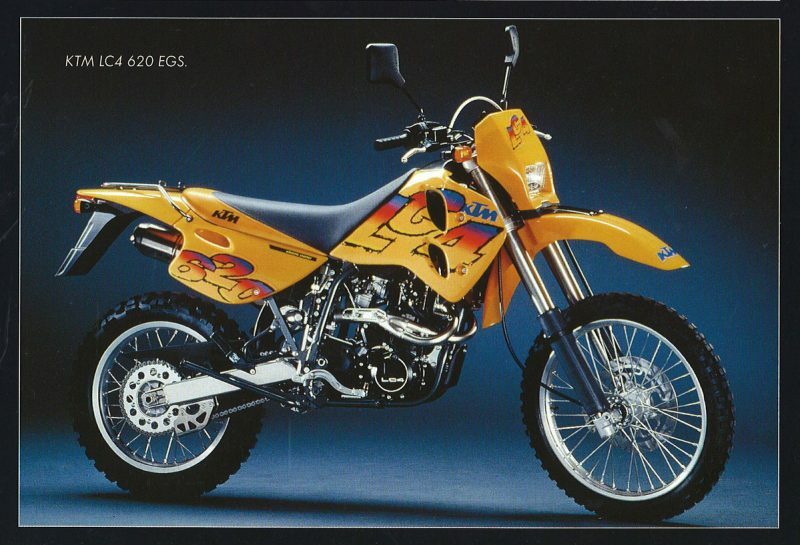 Since the Motocross racers from KTM and Yamaha only differed in terms of seat color at the time (purple for KTM, pink for Yamaha) – with otherwise identical white bodywork – and Suzuki and Kawasaki were immediately identifiable by their yellow or bright green motorcycles, KTM CEO Stefan Pierer and Gerald Kiska decided that future KTM models also needed to be recognizable as KTM motorcycles at the first glance. Orange was the only color that had not already been taken by any other motorcycle maker for offroad sport. When the “First Edition” DUKE was first presented in black/orange, it prompted controversial discussions, however this did not deter Gerald Kiska – the Motocross racers of 1996 were available exclusively in orange and quickly became KTM’s identifier on the international racetrack. This new design instantly became world-famous thanks to Shayne King, who won the Motocross World Championship in the half-liter class that year. At first there were setbacks, as technical inspectors insisted that yellow competition number plates were required for 500 ccm crossers. It was finally agreed, however, that there was no danger of confusion with the black or green plates for the 125 ccm and 250 ccm classes. With the 1996 SX models, KTM became the trendsetter for incorporating the design color into the competition number plate, and this has been a company tradition for many years now. Even the 620 LC 4 “Six Days” – a motorcycle in the special hard enduro series enhanced with KTM PowerParts – was only available in the new “company color”, even though it was not intended for use in competitions like the SX bikes or motorcycles in the “Super Competition” enduro series. In order to satisfy customers’ wishes, alternative colors are now also available in the “street” range, however each machine can easily be recognized as a KTM model thanks to special styling elements. 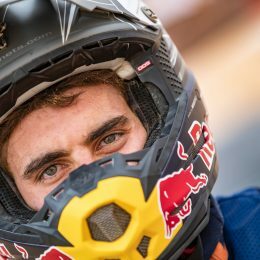 What started 20 years ago with Shayne King’s world championship premiere on an orange 500 SX has become a huge success story. 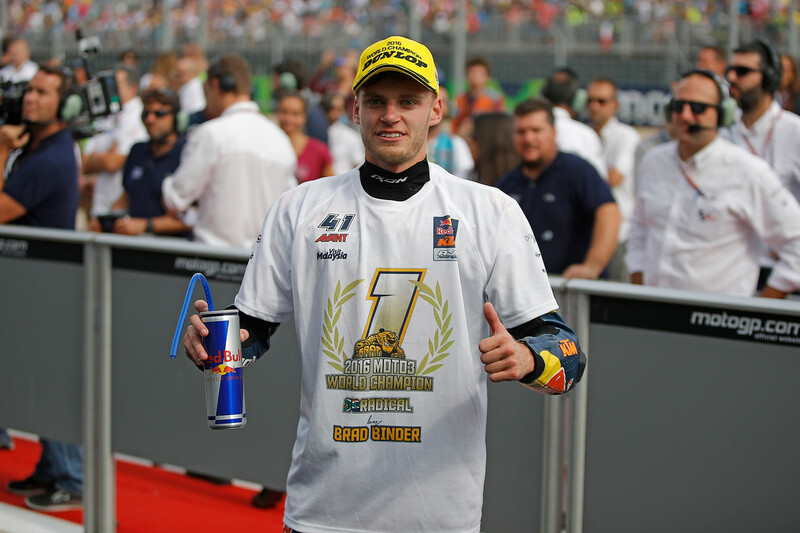 As of a few weeks ago, KTM was also able to celebrate two additional titles: Brad Binder was crowned winner of the Moto3 world championship, making KTM the most successful manufacturer in the history of the Moto3, and Jeffrey Herlings brought title 10 of the 14 titles previously awarded in the MX2 class home to Mattighofen. 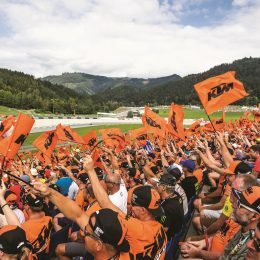 KTM CEO Stefan Pierer and Gerald Kiska’s plan has come off perfectly – be it on the racetrack or on a television set, the favored KTM racers are immediately recognizable by their color, and there’s no way you could confuse them with anyone else. That’s awesome. 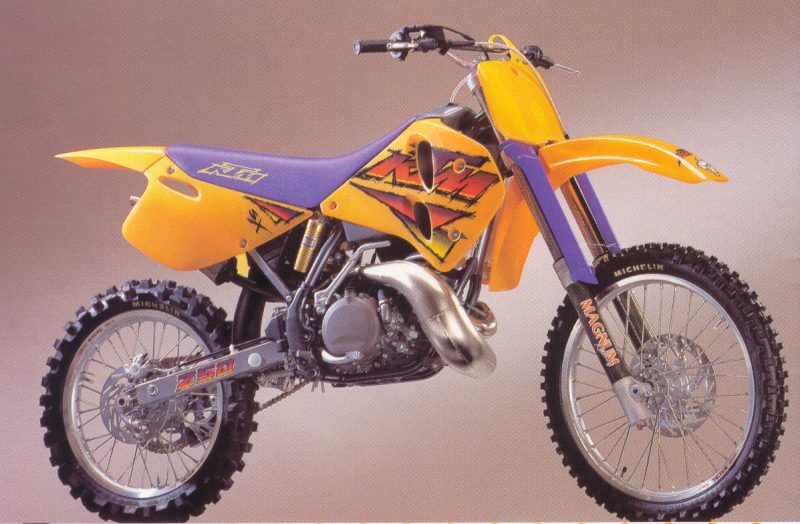 I remember white KTMs, and then factory rider Kenny Valentine. 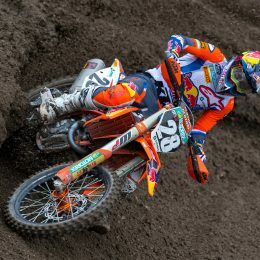 He rode most of the track standing up…I thought KTM was awesome then but could not afford one. Many years later as a journalist I was asked by north east district manager Dan Salamone to do a test for a very popular motocross paper I was connected with, MX East. I was very impressed with all the bikes, the 125, 520F, and especially John Dowd’s 250SX. I had never before ridden a 250cc that could pull a 3rd hear start like my KX500 but this bike did. I was blown away. A year later Dan called to tell me the new 2003 250SX would have 57hp @ the crank…I thought he was kidding but this bike had a legitimate near 50 hp @ the rear wheel. At the start of the 2003 season I bought my first KTM and have not looked back. When then factory rider Jeremy McGrath only added a pipe to his bike it confirmed in my mind this was a works replica. 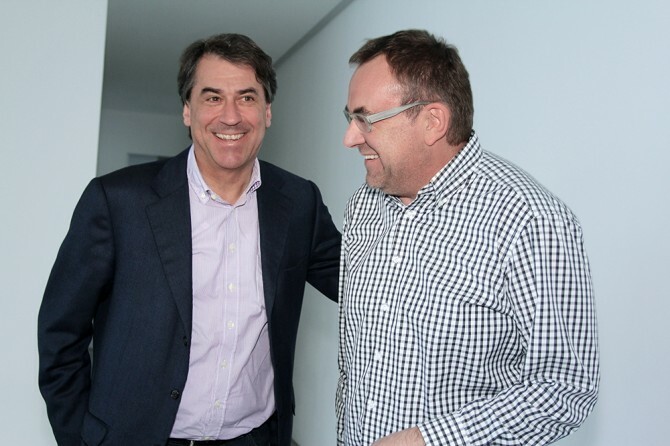 In 4th gear my bike would try to wheelie away from me…truly amazing. 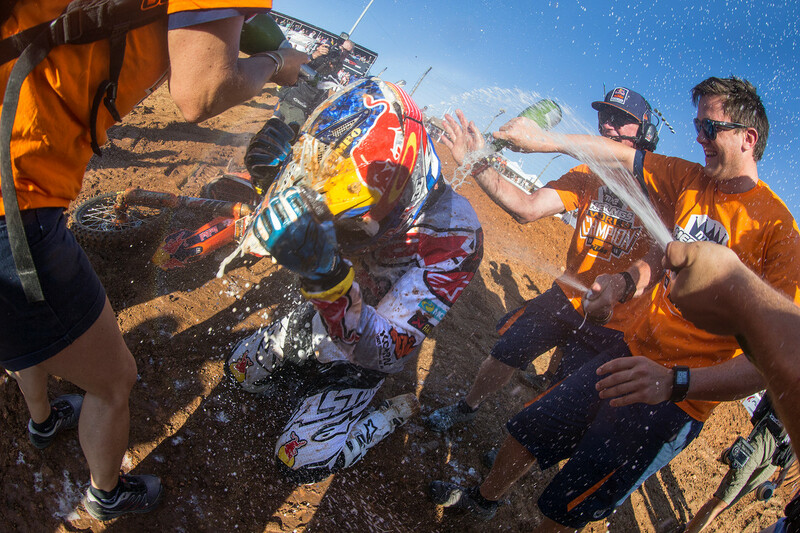 I LOVE KTM and that is for life.